Quest offers an easy way to incorporate these common attributes in your game. 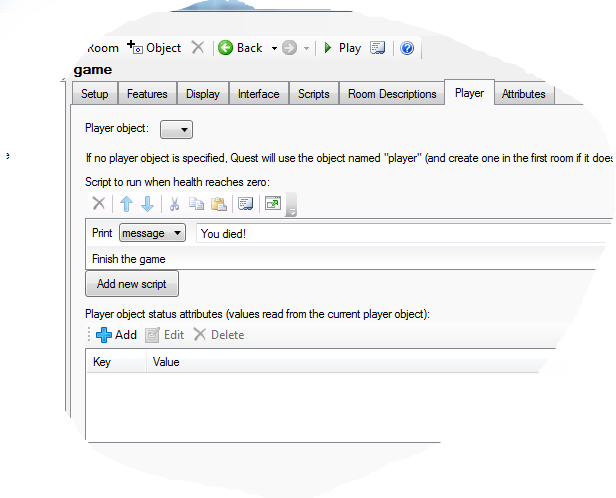 The first step is to go to the Features tab of the game object, and to turn on the ones that you want in your game. It you prefer to do this in code, you just need to add to or subtract from the attribute. If your game is set to display the panes on the right, score, health and money will automatically be added to the status pane, if ticked on the Features tab. Score is the simplest. 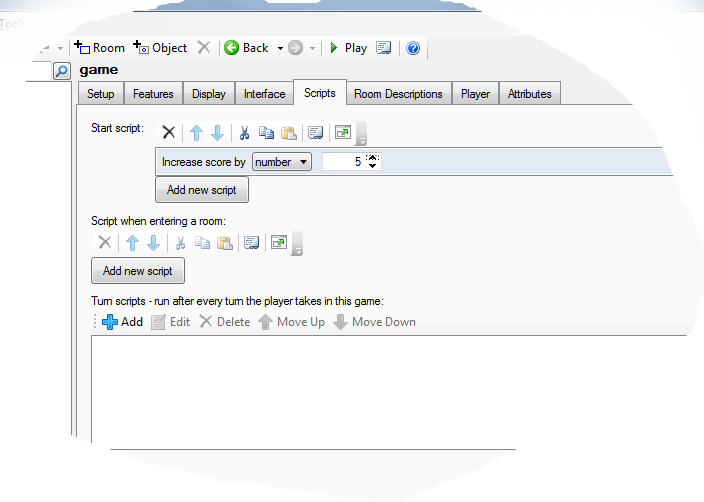 The score attribute belongs to the game object, so is the same even if the player can change to other characters during the game. It starts at zero. The health attribute belongs to the player object (or objects, if you have more than one). Health is treated as a percentage, so starts at 100, and is capped at that (if you try to set it to 120, it will become 100). You can set an object to be food (or a potion, or whatever) that will heal the player. 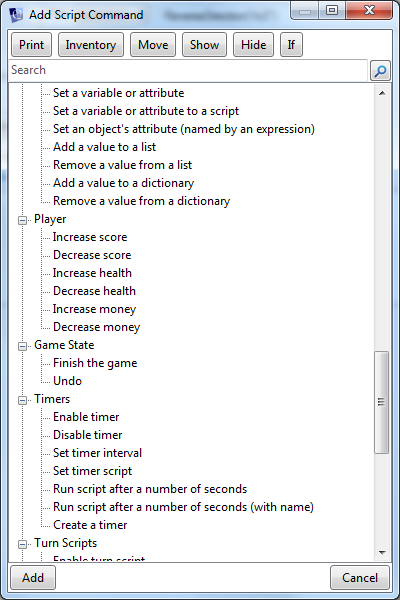 Go to the Features of the object and tick “Edible”, then go to the Edible tab, select “Can be eaten”. You can then set how much health the food will give the player. NOTE If you want a more flexible health system, for example you want to be able to set the maximum health, you are best starting from scratch with a custom attribute, not called “health”, and turning off the health feature. Like health, money is an attribute of the player object. By default, money starts at zero, but you can change that on the Player tab of the player object (and if you have several player objects, you can give each their own money). The money format string is also used by the DisplayMoney function, and has a lot of optins beyond the scope of this page, but can be seen here. When “Money” is ticked, you will find there is a “Price” number box for every object on its Inventory tab.